The owners of Pangaea flew the team to London to view the potential site due to our success in construction of their club “Dorsia” in New York. 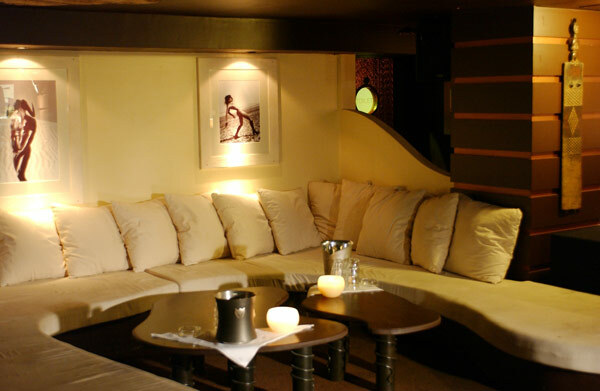 Designer Constructions was to create a concept similar to that of their existing Pangaea Bar in New York. Ensuring the project was completed on time and within budget was critical, as celebrities had already been invited to the opening party. The original club was still in operation and had to be stripped within two days of closure if we were to meet our stringent deadline. The owners were utterly amazed when handed the keys on completion. The club was completed on time and within budget in four weeks. 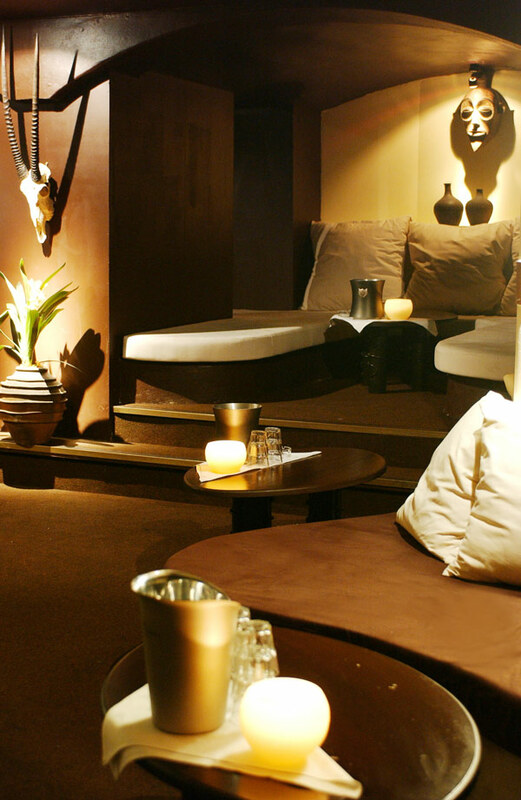 The African theme of the NY Pangea was adapted and redesigned design for the London clientele. Delicate negotiations with the London council were successful in permitting the club to extend underground, below the road in Westminster. 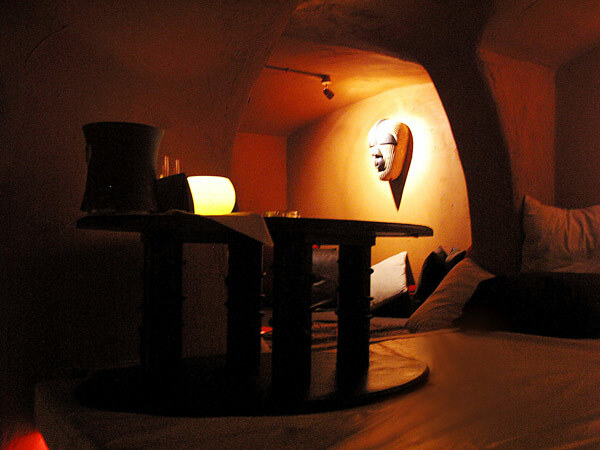 VIP Rooms were built inside the alcove formed by structural supports for the road above. 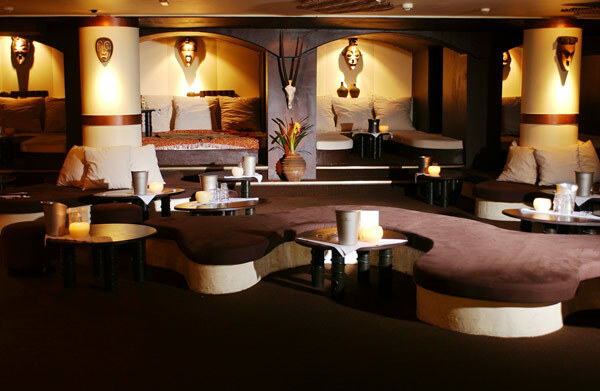 Traditional African artefacts were sourced and reproduction animal hides creating a very unique African feel and culture in the club. 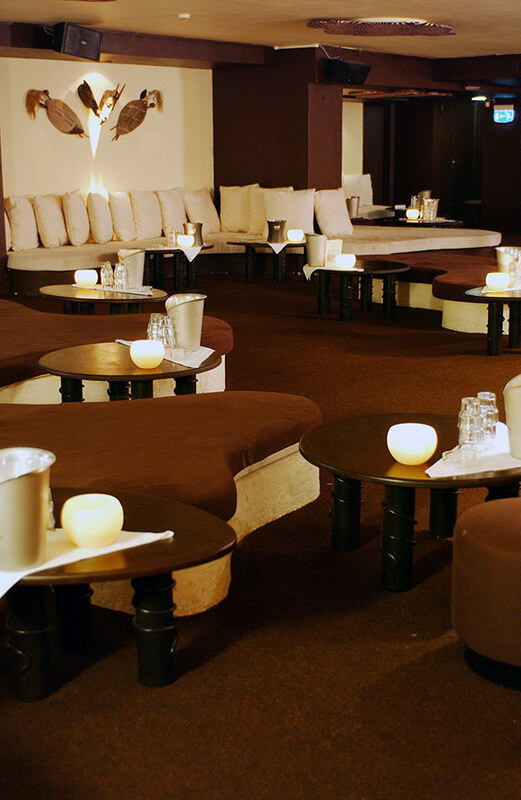 Lighting was the key challenge as candles were a main source of lighting in the other New York Club. Westminster Council would not allow naked flames inside the premises, so we designed a clever and safe alternative – We custom made candles with an electronic fake flame in each. 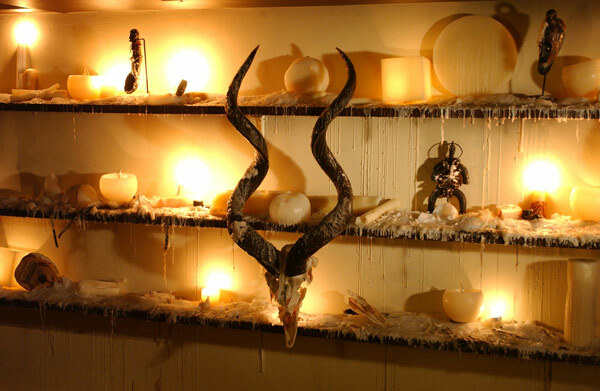 Upon inspection from the Westminster council for our Completion Certificate, we were told that club could not be opened due to our use of candles within the premises. The inspector was astounded when he was told that the candles were not real, and was given a demonstration of how all the candles could be “blown out” at the flick of one switch. Pangaea London has hosted many parties for Justin Timberlake, Paris Hilton, Britney Spears and others including the British Music Awards after party.Pangaea has since been Awarded “Best London Club” 2004, 2005 & 2006.